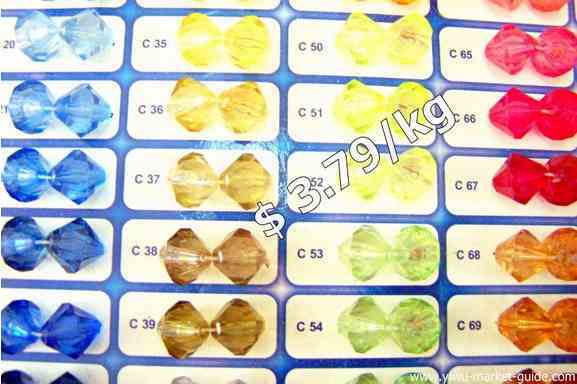 Explore Yiwu Jewelry Accessories Market. Find Out New, Hot, and Bargains. Locations: Xingzhong, Jinfuyuan Jewelry Plaza, International Trade City. Opening hours: 09:00-17:00(GMT+08:00), 7x365, except a 15-day-closedown during Spring Festival. You may already know that Yiwu jewelry market is the largest one in China. In fact, the jewelry accessories market here is even larger. It includes three smaller markets: Xingzhong market, Jinfuyuan Jewelry Plaza, and E3 section of International Trade City. It's lucky that these three markets are all close neighbors. Xingzhong market is still an old day’s street market. Around 3,000 shops are sitting one next to another in 5 blocks. Above photo is taken from my office window. Plastic beads, glass beads, crystal beads, acrylics, ribbons, threads... are shipped in each early morning, then shipped out to other jewelry factories in China, or delivered to Indian, Mid-east, Africa, and South America. This market is not as "international" as Jinfuyuan Jewelry Plaza or International Trade City. Few overseas buyers go to this place. But due to the low rent and long history, the price here is always a bit cheaper. The surroundings are less pleasant though. 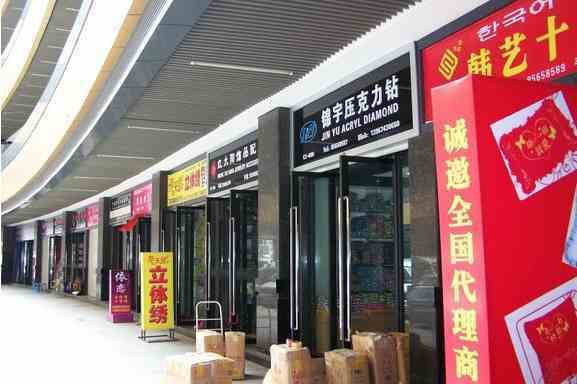 Jinfuyuan Jewelry Plaza was built 2 years ago to meet the large demand of more jewelry and jewelry accessories booths. The 1st and 2nd floor now are nearly full. All together about 300 booths. They are still trying hard to bring in more shops. But because of the worldwide economy turndown, they are facing more and more problems now. I personally recommend this market. As it is new, still developing. The people inside are more hard-working. They don't have enough bad habits. Most of them deliver warm and pleasant service. The whole surroundings are not as stuffy as International Trade City, or as crappy as Xingzhong market. E3 section of International Trade City is the home for another 800 booths. It’s full of jewelry accessories of all kinds and specifications. The people there are more experienced with overseas buyers. First you may go direct to International Trade City to have a quick browse. Although there are just around 800 shops, the variety is still the largest among those three. Also because it's a small section of 800 booths, you can quickly finish browsing within one or two hours. If you have more time, you can go to Jinfuyuan Jewelry Plaza for better service and better price sometimes. The last one to go is Zhongxing market if you want to try some luck for even cheaper price. This market is just too large to browse, and you also need to walk from street to street. Some shop owners frown at taking photos without asking for permission. So ask first. If they say no, you may need to leave them a business card. Most of them don’t care as jewelry accessories are not that depend on new models. Take photos as many as you can, and take notes effectively. If you think you can find all of their products information in their websites later, you should quit that idea quickly. They do print their websites on the name card, and over 90% of them claim they have a website. But once I had a test, and found out around 50% of their websites are totally unaccessible, another 40% have never been updated since the day they were born! 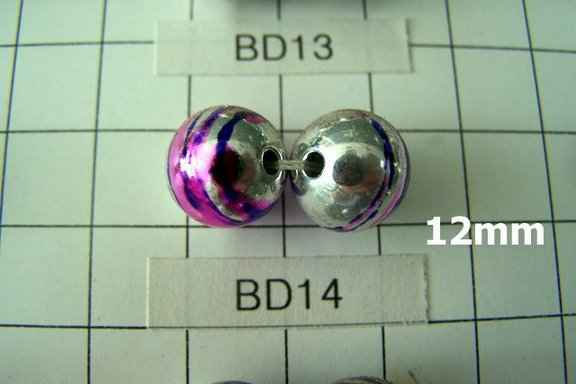 The beads with different color stripes are now hot, according to Miss Ou, an expert in beads business. 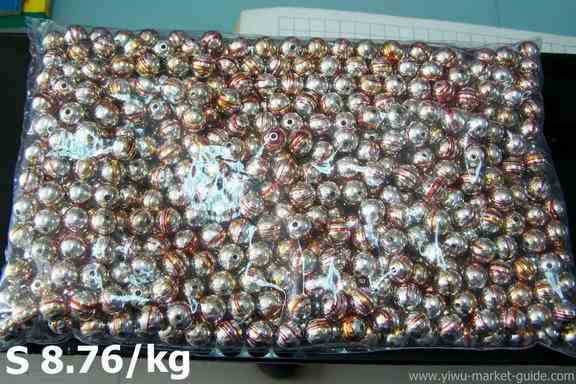 550 pcs in one plastic bag. Miss. Ou, my old friend. You can always see her big smiles when you go to their shop. She has been in beads business for 10 years. Very experienced. She can also speak some good English. I know now she's been working hard on it. Her goal is to wipe off the English language barriers after 6 months. That’s quite ambitious. They come from Shantou, a far away city in Guangdong province, and set up their factory in Yiwu a few years ago. Their prices and qualities are both good. My customers are always satisfied with the products they delivered. Mrs. A Xiu. They manufacture acrylic beads and diamonds. Now because of the economy turndown, they don't have as much as stocks they used to. So manufacturing according to orders are what they're doing right now. Mrs. Shi, a lady in her mid-40s, already has been in business for more than 20 years. Can you believe your eyes? The secret of keeping young is having a young heart all the time. This is absolutely true with her. Their company is in Dongyang, a nearby city. 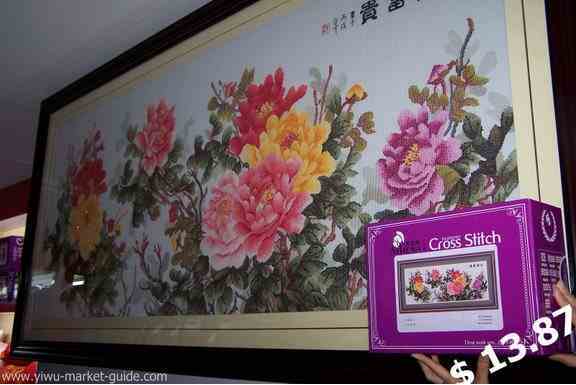 They're doing extremely well in China cross stitches market. They have their own R&D department and even one online marketing team. Now their sales are busy with having more distributors both local and abroad. The cross stitch kits below is for the 202cm * 93cm final art displaying behind it. This is what Mrs. Shi recommended to us. This kits includes everything you need to turn the grid cloth, threads, and a good several months hard work to the final art. This final piece of art is now selling for a price of $1,460. The cost of the kits itself is just $13.87. ★ See how our Yiwu agent service helps. 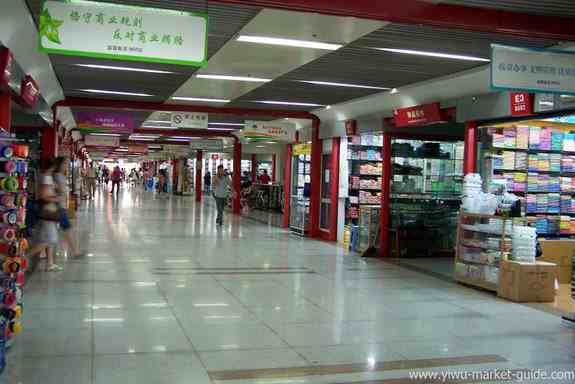 Yiwu Binwang Market is EMPTY now! Canada Mart in Yiwu Market Opened on Apr. 20, 2011. District 5 of Yiwu International Commodity City Will Begin Trial Operation On May. 18, 2011. Yiwu Huangyuan Clothing Market Is Upcoming. Yiwu Market Is Fully Opened Now After 2011 Chinese New Year. Yiwu International Trade Center D5 Recruit Plan . 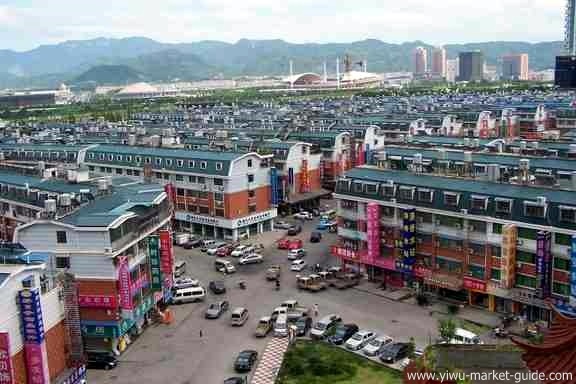 Yiwu International Trade Center & Bingwang Market 2010 Annual Turnover Reached 45.6 Billion Yuan . International Trade City District 5 Is Recruiting New Vendors. Yiwu Huangyuan Clothes Market Is Bringing In New Vendors. Free Link Shuttles around International Trade City Has 6 More Stops. Yiwu Factories Are Asking For Longer Lead Time Due to Lack of Labor and Power. Yiwu Market and Yiwu Fair Were Introduced On MACEF 2010. Currency Exchange Rate Only Has Limited Negative Impacts On Chinese Exports. Demand of Cleaning Products in Yiwu Market Is Increasing. Watches and Clocks Are Still Selling Fast in This Holiday Season. Yiwu Market Prices May Rise! Yiwu Market Is Fully Opened Now! 2009 Yiwu International Trade City Turnover Hit Another Record of 6 Billion USD. 2010 Spring Festival holiday is from 13th, Feb. 2010 to 21st, Feb. 2010. Free shuttles go around Yiwu international trade city everyday.